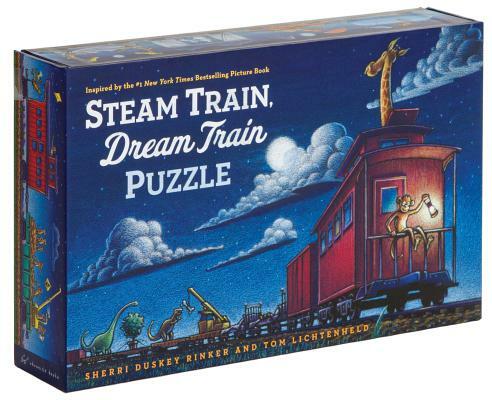 The team behind the #1 New York Times bestseller Steam Train, Dream Train returns with a wonderfully whimsical puzzle! Each train car features a menagerie of quirky and colorful characters—with art on both sides of the puzzle pieces—giving kids countless ways to arrange the cars. With irresistible artwork by Tom Lichtenheld, this set of mix-and-matchable pieces is a ticket to fun! Sherri Duskey Rinker is the bestselling author of Goodnight, Goodnight, Construction Site and Steam Train, Dream Train. She lives in Chicago with her photographer husband and two energetic, inquisitive sons.